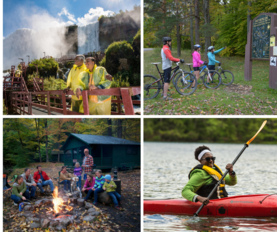 Governor Cuomo is encouraging all to enjoy New York state parks for free on Black Friday, November 24. Visitors can avoid busy shopping centers, long check-out lines and traffic congestion and instead enjoy the more than 335,000 spacious acres of pristine landscape awaiting a family adventure. There will be no parking fee at any State Park on Black Friday. 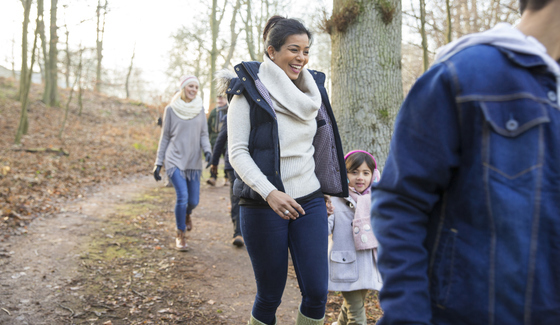 To celebrate the holidays and the outdoors State Parks offers numerous special events and programs on Black Friday and over the Thanksgiving weekend. 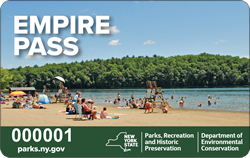 For a full list of state park events on Black Friday and over the holiday weekend please visit www.parks.ny.gov and select "Thanksgiving Weekend" on the homepage. Lt. 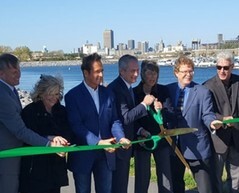 Governor Kathy Hochul recently opened a new Niagara Falls Cave of the Winds attraction that highlights Niagara Falls’ significance as the first state park in the nation and site of the first large-scale hydroelectric generating plant. Part of the revitalization of Niagara Falls State Park, the revamped pavilion features three new experiences. "Drawn to the Edge" presents interactive and virtual exhibits that tell the story of why visitors and innovators came to Niagara Falls and showcases the way beauty and power co-exist. In the "World Changed Here" space, a theatrical film and object theater introduces viewers to famed visionaries such as landscape architect Fredrick Law Olmsted and inventor Nikola Tesla and how their work impacted the world. Finally, visitors will "Prepare for Power" when they receive a pair of souvenir sandals before descending 175 feet into the Niagara Gorge to the decks of the Cave of the Winds and the Hurricane Deck. When the decks close for the season, this space will offer a video wall where visitors can see the Falls throughout all the seasons. A Long Island holiday tradition has returned with the Magic of Lights at Jones Beach State Park. Once again, Jones Beach will shine bright as guests weave along the spectacular 2.5-mile drive-through holiday lights display. The display runs through Sunday, December 31. 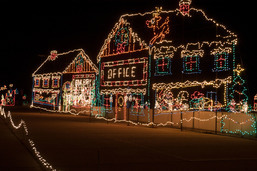 A complete schedule and ticket information available at www.magicoflights.com. 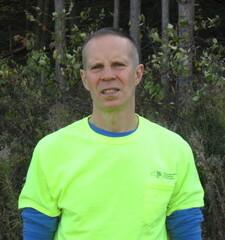 I began my career in Parks in May of 2004. What does someone in your position do? I oversee a four-season camping operation that offers everything from cabin/cottage rentals, to hiking, mountain biking, and swimming in the summer, to skiing, snowmobiling, and snowshoeing in the winter months. My role is one of a choreographer, as well as a supervisor. What’s the coolest thing you’ve ever seen or done? Occasionally I get to lead a group of people on a guided hike through the woods. It’s a nice diversion from my daily responsibilities, and and a great way to interact with the Park’s patrons. Is there a destination in the park/region you’d recommend to someone? Snowshoeing on Beehunter hiking trail after a fresh snowfall. It’s both peaceful and challenging at the same time. What inspired you to work in the park system? My siblings brought me camping in Allegany back in the late 70’s. It planted a seed inside of me that continues to grow. Kick off the New Year in the outdoors! First Day Hikes will be held January 1, 2018 at select NY state parks, historic sites, state forests and nature centers. Find a hike near you on the events calendar at www.parks.ny.gov. More being added each week! 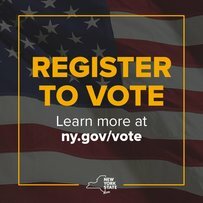 Register to vote online today. Search your voter registration status.